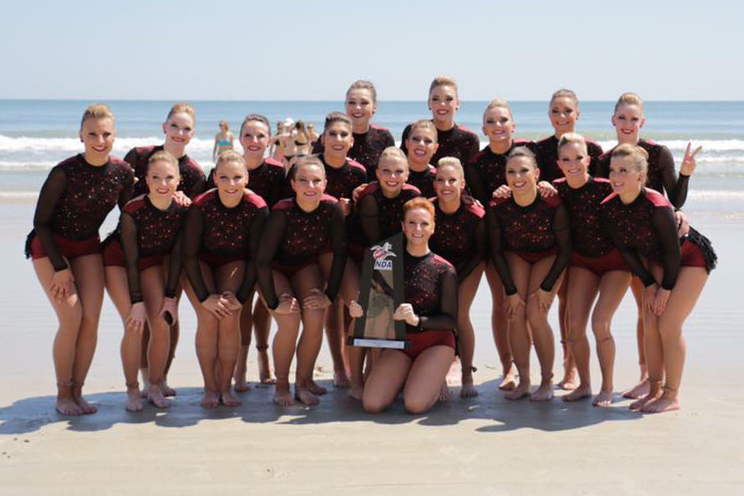 This fall, the University of Minnesota Duluth Dance Team shared their new game day look with us, and we recently caught up with them again after they competed at NDA Championships this month! The team had an amazing performance at college nationals, finishing runner up in Division II Team Performance! "For our dance this year our theme was queen bee, which turned into the concept of 'revolution.' We had the idea of being fierce and confident women. It was incorporated in our choreography and costumes by adding strong, sharp movements and moments where we could feed off of each other's energy. 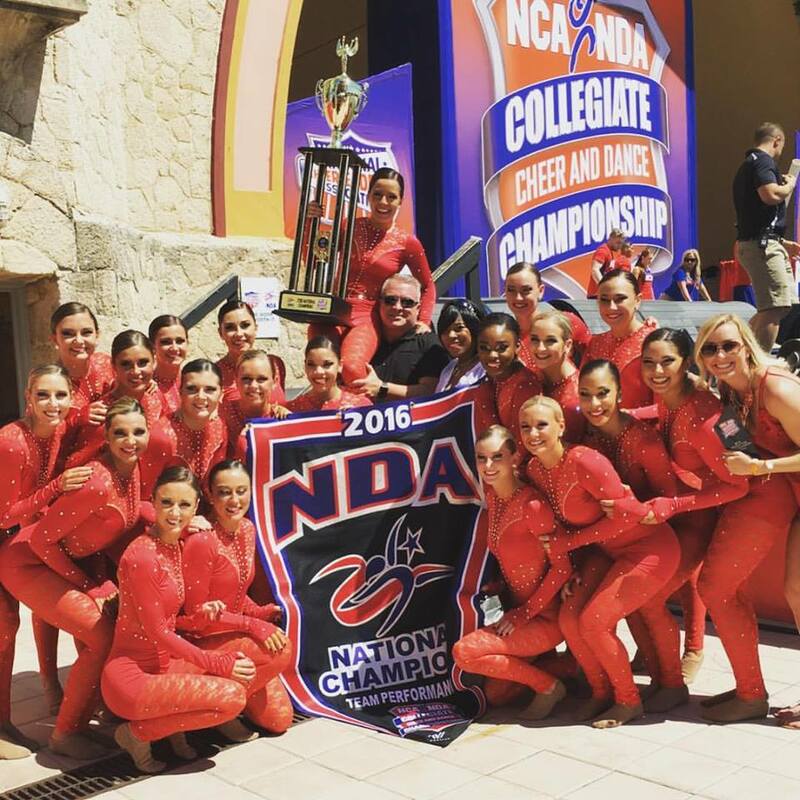 We added in a lot of team breaths to increase the intensity of our jazz section." "The costumes have a sassy fierce look to them which completely added to our theme! The music was powerful and emphasized all the movements that we wanted to be strong, and it flowed where we wanted it to be smooth," Melanie said. The combination of feminine lace and and bold back straps on this custom dance costume definitely portrays the fierce and confident female look they were going for!